There were a bunch of DC Comics out this week, and they all had covers--some of 'em had two! And you know what, folks? I had trouble paring the list down to five. So I pared it down to six! There's an honorable mention at position six, mainly because I liked it personally. But I think this is a new cover artist for DC Comics! How about that? I have a gift for finsing new talent, and I don't even get paid for it. Being able to bestow the high honors of belonging to this weekly list is payment enough. 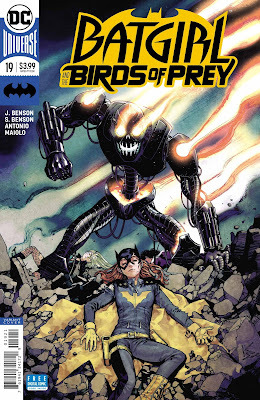 This cover is on some Robcop vs. Terminator channels. The composition and the coloring do it all, not the mention the angry, burning robot menacing Batgirl. Whew, did anybody get the license plate number of that gorilla? Here's the visual interpretation of having a pile of bricks fall on you. Porter and Hi-Fi make an incredible team, and once again have delivered a classic cover image. Here's what it is to be the Dark Knight Detective in one image. And in two colors, no less! 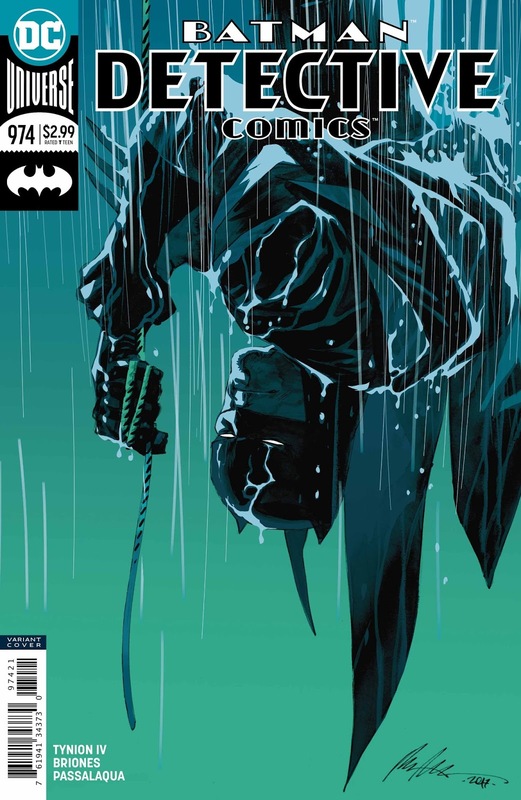 Oh, Rafael Albuquerque, I could kiss you. If I didn't think you would punch me in the face for it. 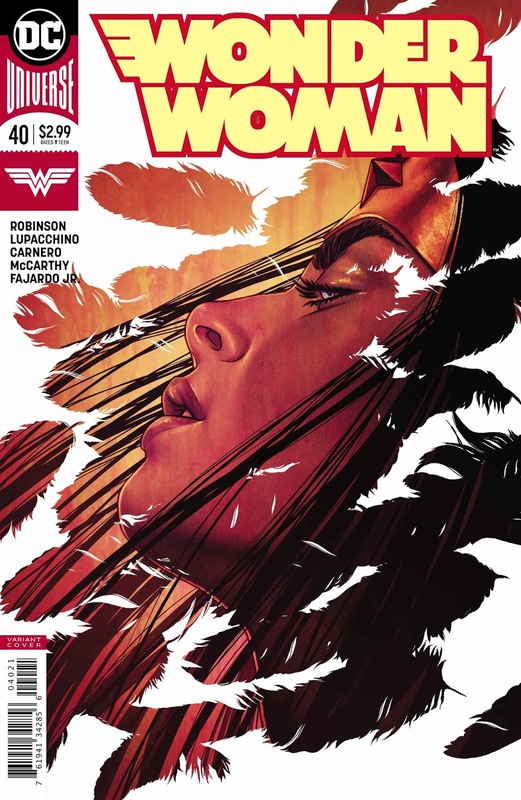 Jenny Frison has been doing almost all the variant covers for this run of Wonder Woman, and they've all been terrific. Every now and again, however, one just strikes me as beautiful. This is one of those times. A full-color bound collection of these variants would be appreciated, please, thanks. 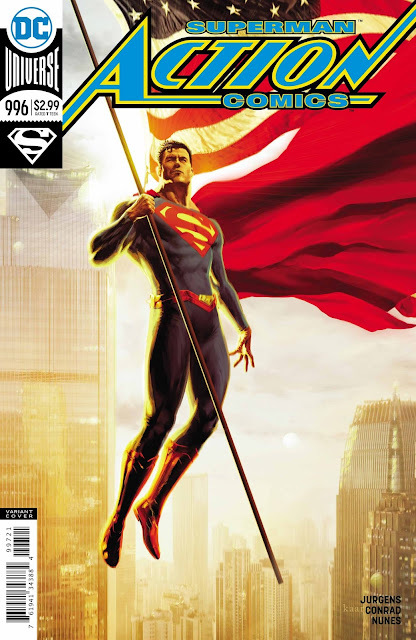 Here's a cover I didn't really expect to be on the list, since it's just Superman floating with a flagpole in his hand. But I kept coming back to it, and coming back it, and decided that the composition and color of this piece is really majestic. And would'ja lookit that? It's on the number two spot this week! I heard that this "Artgerm" fella's variant covers have bumped order numbers on this book quite a lot, and I believe it. This looks glorious, and the nod to The Daring Adventures of Supergirl, in both costume and in the "ELECTRIFYING ISSUE!" burst are very appreciated. A real nice-lookin' pitcher, folks. 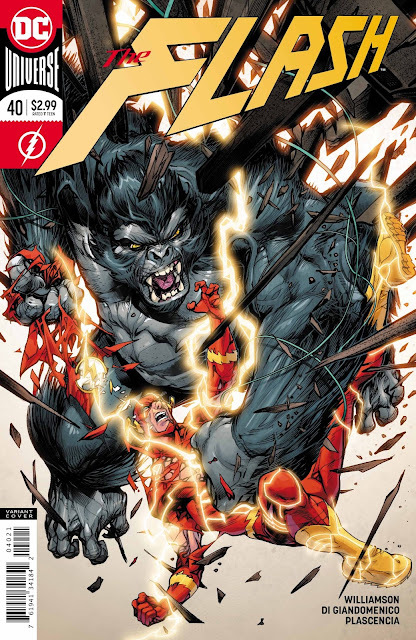 I heard he's leaving the variants for this in a few issues? The numbers will drop.